Welcome to the OFFICIAL Youth Summerstock Theatre website. We are an award winning summer theatrical program open to all San Diego County residents ages 13-18. Each summer we produce two musicals. All participants are guaranteed a role on stage. The program is run by Mr. Barry Bosworth. This summer, we will be producing Hands Off the Radio and Working. For more information, see below. A family of four goes on a driving trip and fights over the radio for their favorite style of music. Get ready for all students to be involved singing and dancing to rock 'n roll, pop, ballads, country/western, and more! 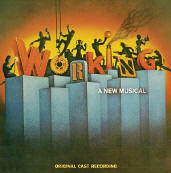 A musical about the American working man and woman that reflects the grievances, hopes, and dreams of the unsung heroes and heroines of the American workforce. All shows begin at 7:30. Doors open at 7:00. Youth Summerstock Theatre is a member of the Associated Community Theatres of San Diego County, an organization consisting of 15 community theatres located in San Diego County which have joined together to improve the quality of theatre in the San Diego area.